AS LOW AS $.20 EACH. 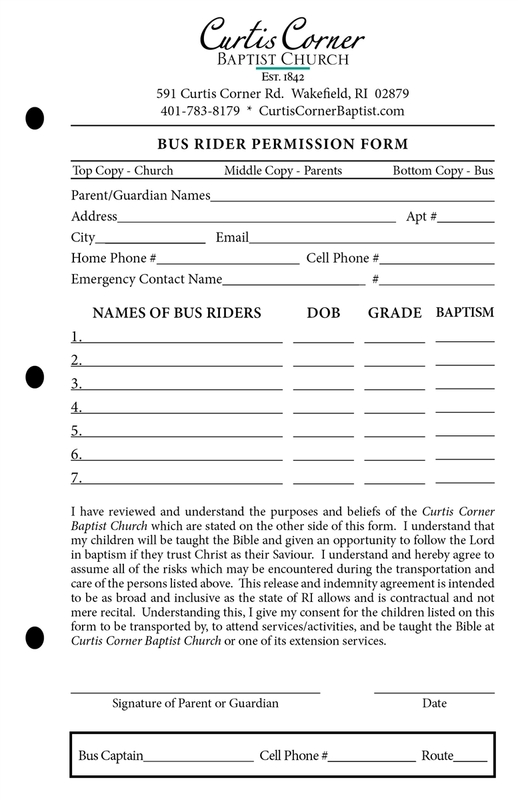 These carbonless 3-part Bus Rider Permission Forms are customized with your ministry information. In the litigious culture today, it is imperative that your bus ministry is legally protected by getting written permission from a parent for children to ride your bus to church. The designed form is not only functional for recordkeeping but is also legally sound for parental permission. The top copy is for the church office records. The middle copy is for the parents and includes the bus captain contact information. The bottom copy is card stock that will last for 1 year and should be kept in a bus book (small 3-ring binder) for visiting, attendance keeping, bus records. 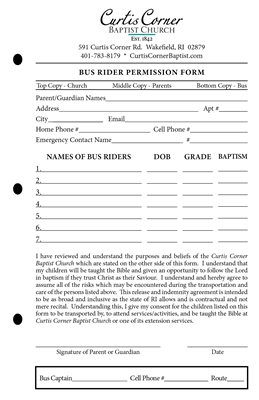 The bus book containing these signed forms should be on the bus any time children are being transported. 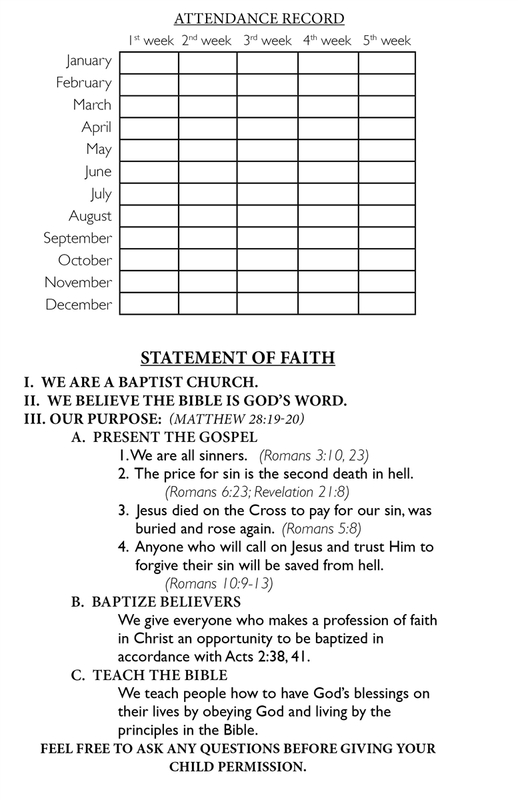 Include your church information. We will contact you to approve a proof before we print your order.